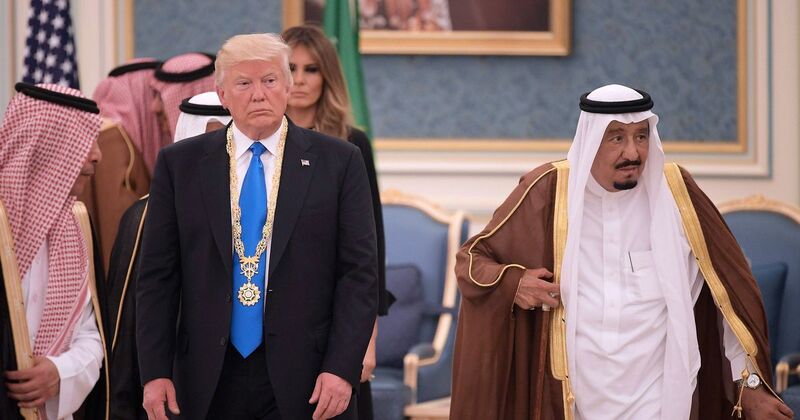 How Will Trump’s Saudi Arabia Trip be Spun? Listening to Trump’s speech in Saudi Arabia, and watching all the pomp and circumstance… It’s all very interesting. First, it makes me glad I’m not a politician. I’m too ADD to sit through all that. More interesting, though, is trying to imagine how the current President’s political enemies are going to try to spin this. I can’t imagine how yet, but I’m sure it will happen. Somehow, and I’m not sure how, there will be news stories presenting some or all parts of his speech, some or all his actions unstable, crazy, undisciplined, unfit, and of course in collusion with Russia. “Two movies” indeed, Scott Adams. Or maybe, if there is not a good spin to be spun, the trip will be ignored in favor of other issues (Isreal perhaps?) that can be spun negatively. I’m all for criticizing our president’s many, many flaws; as I will be for criticizing the flaws of our next slate of candidates. But I’m against the concerted campaign to exaggerate these people’s flaws and minimize their strengths. I’m for honesty and balance. I intentionally didn’t read HuffPo before writing this up. Now that I have, I see that they seem to be skipping his Saudi trip in favor of Isreal? $110 billion arms deal might have been illegal. “Shifting rhetoric” in Islam is bad because what he said about Islam is bad but being inconsistent is also bad so even if what he’s saying now is good he’s still bad. Giving money to the World Bank’s entrepreneur fund at Ivanka’s behest is like donating to the Clinton Foundation and thus taking indirect bribes. And also, the glowing orb. Not much good material here.